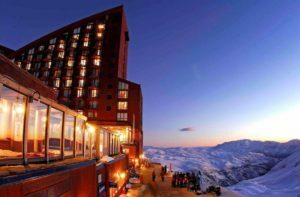 Welcome to the 2019 definitive guide to skiing in Valle Nevado Chile. Researching the best places to ski this season in the Southern Hemisphere. Searching for quick and easy access on how to book you next ski vacation. Looking for updated details and insider local tips for skiing in Valle Nevado. You will also learn about the best tours, how to get there, when to go and more. In short: if you want to learn as much as possible about the Valle Nevado ski resort before booking, you’ll love this guide. 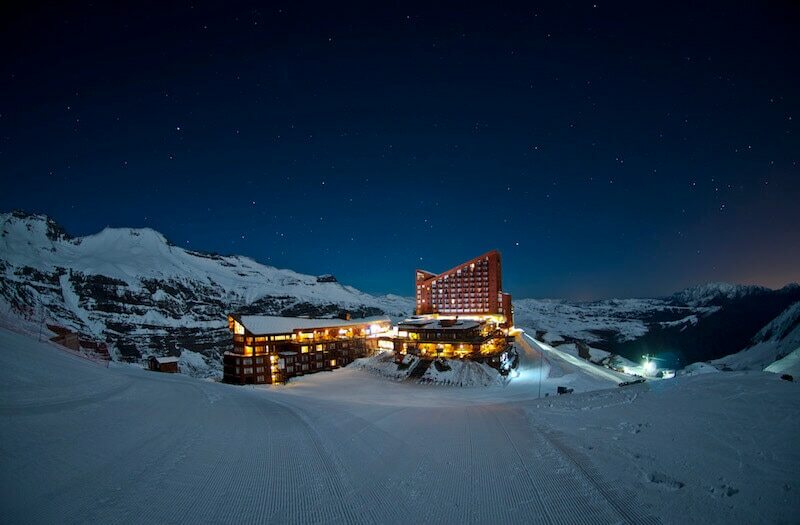 Valle Nevado Chile is a modern, international-level ski resort located just 90 minutes east of Santiago at 10,000 feet and spread along the spine of a mountain ridge, offering spectacular Andean views. 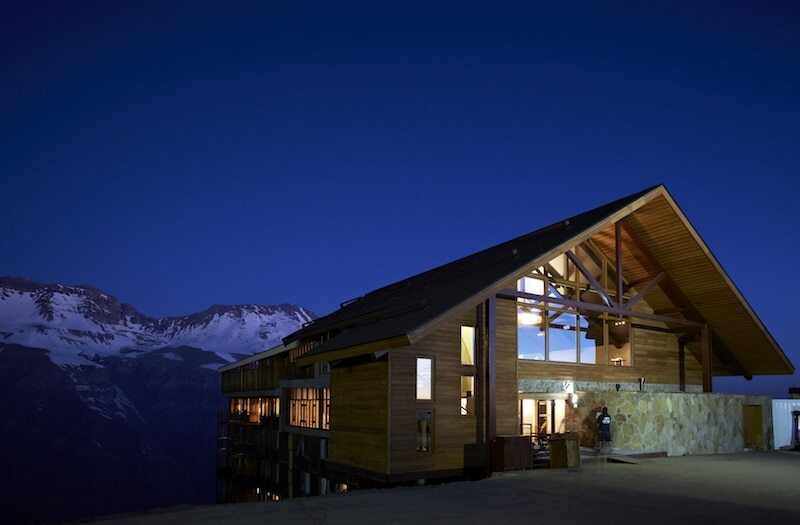 The resort is known for wide-open terrain, world-class heli-skiing and snow quality, which on average is the best of any Chilean resort due to the resort’s altitude, southern orientation, and the resort’s extensive snowmaking system. A French-Chilean partnership built Valle Nevado in 1988 and originally modeled the resort after the style of Les Arcs resort. 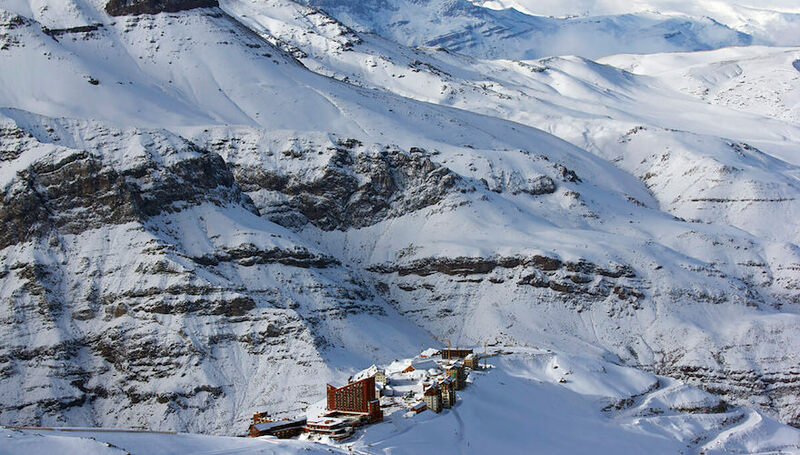 Valle Nevado celebrated its 30th Anniversary in 2018 and continues to push forward with a long term "Master Plan" that will eventually develop the entire base area into a full-scale ski mountain village in the high Andes. 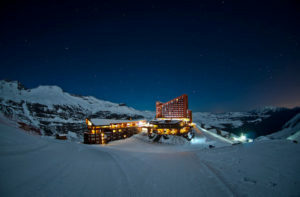 Valle Nevado is part of the “Tres Valles” and borders the resorts El Colorado and La Parva, with an easy-to-access interconnect system of lifts and trails. 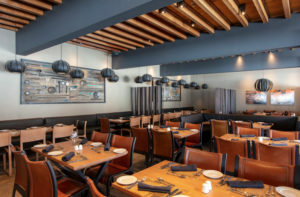 The resort attracts more international visitors due to its extensive infrastructure that includes three hotels, eight condominiums, six restaurants, a spa/fitness center, bars, and many other amenities for adults and kids alike. In 2019, the ski lifts will operate from June 28 until September 27, however if snow conditions are good the resort will often open earlier and/or close later. The resort is entirely above tree line and is a mix of expertly groomed runs and natural, rolling terrain and gullies. The terrain is almost evenly divided into beginner, intermediate and advanced, with vast side country that is easily hiked, as well as a terrain park and boardercross run. In the resort’s back bowl area, the highest lift Ancla hits 12,040 feet in altitude, dropping into a spectacular valley that makes skiers and riders truly feel as if they are in the heart of the Andes. This area of the resort, the “Inca Valley,” was given its name due to a 1,000-year-old Incan boy found here in the 1950s who had been sacrificed, and certainly a mystical aura is very perceptible when out doing runs in the area. Chile’s Tres Valles (or 3 Valleys) is considered the combined terrain of Valle Nevado, La Parva, and El Colorado ski resorts. The total area offers the largest amount of terrain in South America at nearly 7,000 total acres. To access all this terrain, Valle Nevado skiers must purchase an additional interconnect ticket, or book a 7-night stay at Valle and receive 2 tickets included as part of the total price (offered to North American skiers only). 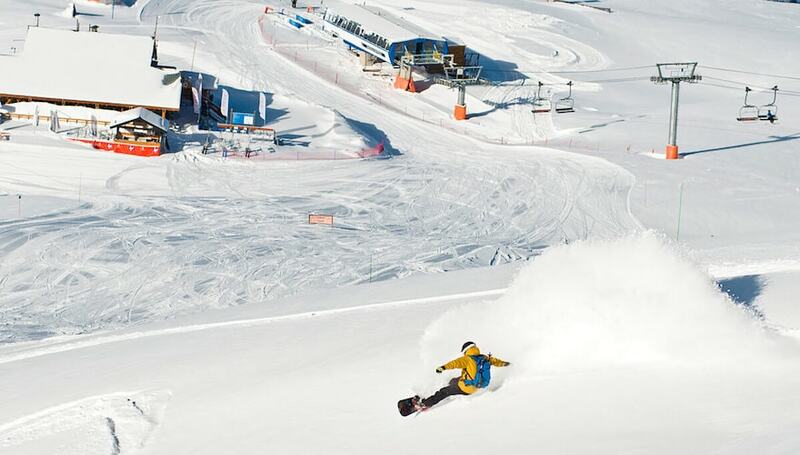 Valle Nevado ski resort offers one of the better terrain parks in South America. It was the first Chilean ski resort to open a FIS standard Snowboard Park and to host the FIS World Cup Snowboarding series in 2001. There’s also a FIS standard boardercross course, making options for snowboarding Valle Nevado pretty outstanding, not to mention the natural terrain around the resort that can feel like a park. There are fewer groomed advanced runs at Valle, with most of the steeper goods found throughout the resort’s off-piste areas including chutes and bowls filled with blower powder after a snow storm. For backcountry touring, the terrain linking La Parva ski area is very expansive opening up options for steep chutes and long powder runs back to the resort. Cell phone service is spotty the farther you get from the resort. A well-established heli-ski program run by expert guides is one of the most unforgettable experiences an international skier and snowboarder can undertake, and although it can be expensive it’s worth every penny if even for the views alone. Lastly, the terrain below Valle’s inbound area, Santa Teresita, is known for its big mountain terrain and powder, although these are road laps and you’ll need a vehicle to take you back to the resort. Book a heli-ski day trip in @vallenevado and you’ll get access to 20,000 acres of terrain, and up to 5,000 vertical feet in one run, which is considered one of the longest of any heli-ski operation worldwide. Valle Nevado is a paradise for intermediate skiers and riders; with lots of cruisy groomed runs and easy off-piste access. For snowboarders note that some of the terrain in the middle of the mountain flattens out and it can be easy to get stuck if you do not carry your speed. This especially holds true after a fresh snowfall. Beginners have more options than other ski resorts with Valle Nevado’s two dedicated beginner ski areas and easy-to-load surface and chair lifts. A top-level, bilingual ski school offers group and private lessons. 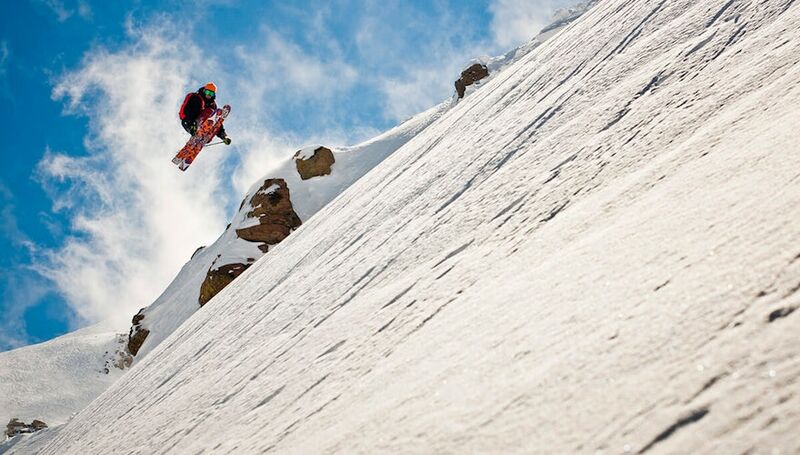 Valle Nevado is the only resort with Burton Snowboard’s “Learn To Ride” LTR Program center in Chile. 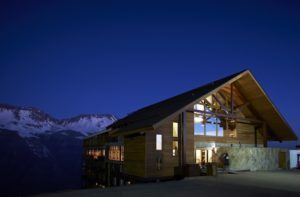 Valle has a long-established relationship with Burton (including a Burton snowboard shop on site), so it was logical that the resort would be the first in South America to host this ground-breaking program. The LTR program is for both kids and adults to learn quickly and safely, using snowboards with beveled edges to help avoid those kinds of hard falls that typically come with learning to snowboard. For younger kids, Valle Nevado offers “Riglet Park,” a fun learning park for kids with a space-exploration theme. What if I Don’t Want to Ski? Non-skiers can certainly find enough to do over a period of a couple of days, but a lack of an actual town means there is less to do off-slope than at a typical US resort. A small shopping gallery, spa and fitness center services, or simply enjoying the view with a pisco sour can be a highlight. For live snow reports, pictures and videos during the season (July-September) follow PowderQuest on Instagram and be sure to check out our blog. Lots of protected gullies to play in and find good snow even weeks after a storm. The resort is bigger than it first looks and if you are willing to go searching can reveal some great runs! Getting to Valle Nevado is an adventure in itself. The narrow, corkscrew road has many tight switchbacks and an altitude climb of 8,170 feet (2,490 meters) that can take between 90 minutes and 2 hours, depending on road conditions and traffic. 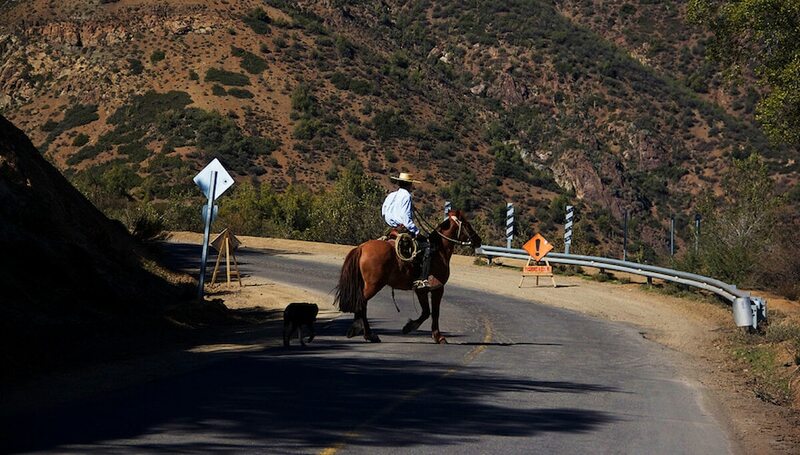 On the climb, you’ll pass cattle, horses, Huasos (Chilean cowboys), and cactus before arriving to the snow line. Private vehicle service: PowderQuest arranges private cars, vans, and mini-buses with professional drivers from both the airport or your hotel in Santiago when booking a Valle Nevado hotel package with us. English-speaking drivers are available upon request. Public van shuttles: The most economical way to get to the mountains. There are several services offered online and in Santiago. Do your homework as many companies offering these services have received poor reviews. Rent a car: If renting a car, remember that your vehicle will generally just sit in the parking lot for several nights or a week, it may not be worth it. If you are visiting several areas during your stay or plan to run backcountry road laps in Tambo or on Santa Tere, a vehicle can be worthwhile. Just keep in mind gas is expensive, the roads are not easy, and you will need to carry snow chains, even with 4-wheel drive and during a dry period. Helicopter: Helicopter service to Valle Nevado takes just 15 minutes, but you’ll need to send all your luggage and gear up the mountain in a vehicle. Heli service leaves from the Santiago airport and a few rooftop landing pads in Santiago. Contact us for rates. Hitchhiking: Hitching a ride up to the mountains is not that difficult however on weekends you will be competing with a lot of locals. Lift ticket prices are in Chilean pesos and will fluctuate based on the current daily exchange rate. Prices also vary depending on time of season and day of the week. Adults can expect to pay an equivalent of roughly USD $70-85. 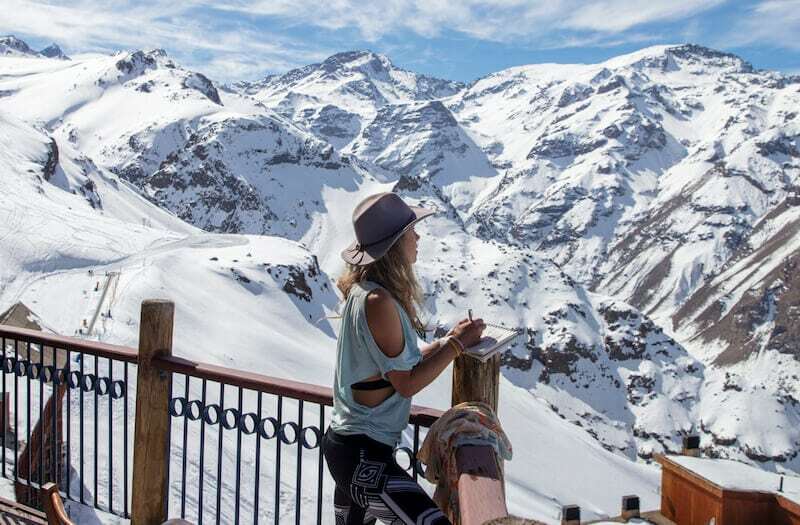 Valle Nevado is a member of both the Ikon Pass and Mountain Collective Pass, offering benefits to pass holders that include tickets, discounts and other perks. 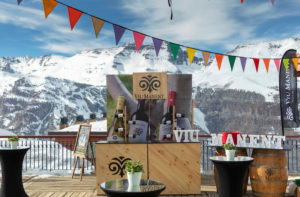 Valle Nevado joined Ikon in 2018, the pass system that launched as a competitor to the Epic Pass and includes bucket-list ski destinations such as Aspen Snowmass, Squaw Valley Alpine, Jackson Hole and even Niseko in Japan. With an Ikon Pass, skiers receive 7 days’ lift tickets at Valle Nevado, and the Ikon Base Pass receives 5 days, no blackout dates. If buying a hotel package, pass holders get 10% off the total price, which can be combined with other promotional deals. Available ONLY to 2018/19 Ikon Pass holders for the 2019 season. Ikon Pass holders also receive discounts on gear rentals and mountain guides. Mountain Collective Pass holders receive 2 free lift tickets and 50% off tickets for any additional days with no blackout dates, or they can book a hotel package with a minimum of 3 nights and get 15% off in lieu of the 2 tickets. No blackout dates, but cannot be combined with other promotional offers. The backcountry ski touring up the Valle de Los Incas can lead you to some spectacular couloirs. Just keep an eye on your exit or you may end up skiing back to the wrong resort without a lift ticket to get home. 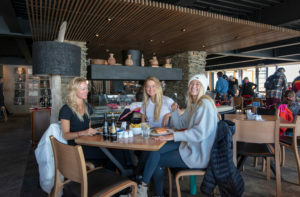 Valle Nevado now hosts more national ski teams than any other resort in South America, including Austria, the US, Italy, Norway, Canada and more, who come during late August and early September to train. 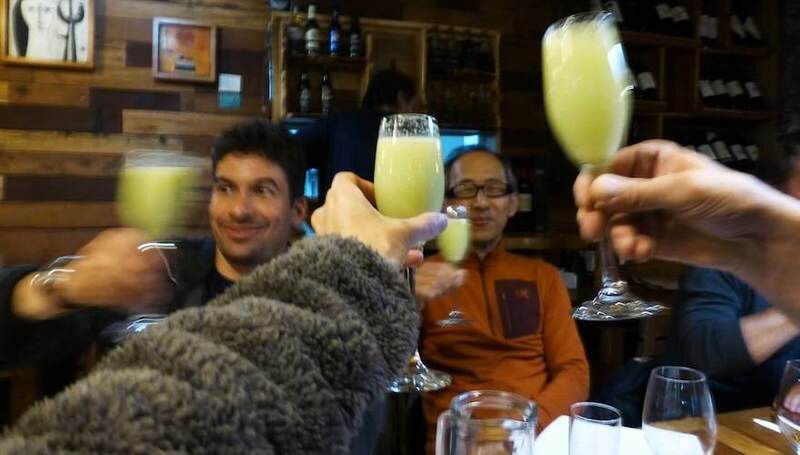 During this time, it’s common to bump into Olympic and World Cup medal winners, along with many other famous ski and snowboard pros who come to Valle Nevado to keep the “endless winter’ alive. It’s something like a summer camp for the world’s top athletes. After a long day on the slopes, the outdoor pool après ski scene gets pumping with DJ music and a bar, and it’s very common to see condors floating above while watching the sun melt into the Andes. As terrible as the root cause is, Santiago’s smoggy skies create some of the most beautiful sunsets you will ever see. 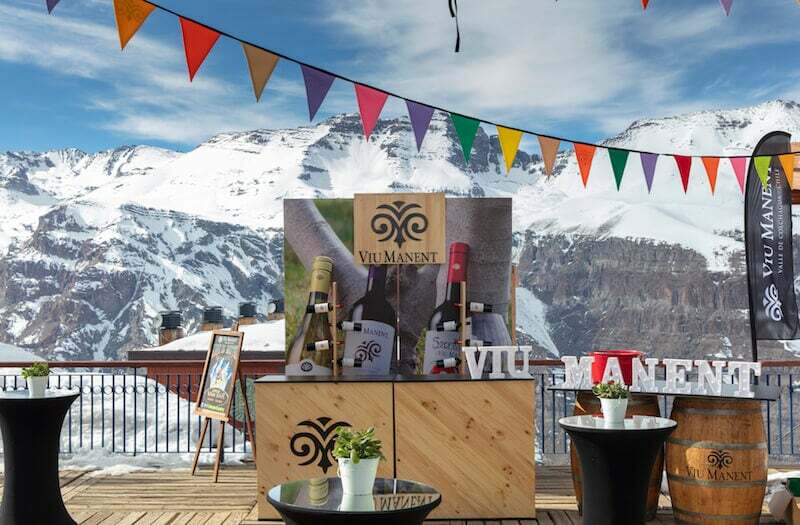 During the month of August, Valle Nevado hosts special weeks including a Chilean Wine Festival and Gastronomy Week. Booking details in the following chapter. 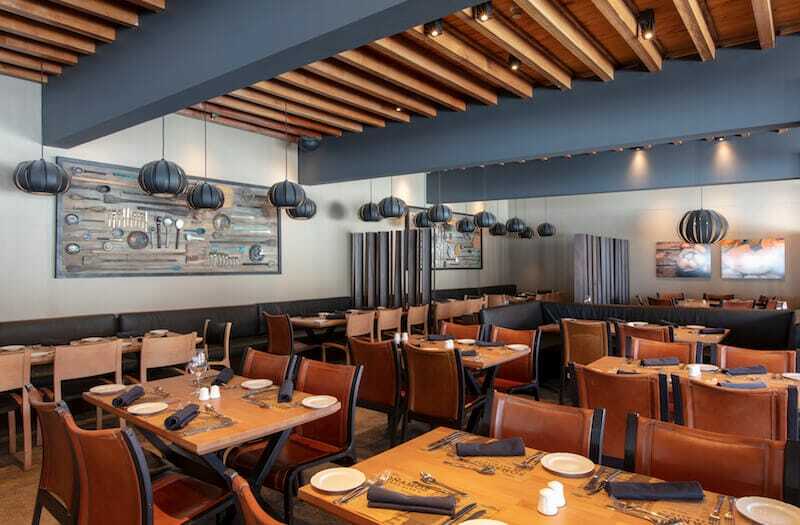 It can be difficult to get dinner reservations for the restaurant of your choice, so be sure to book all your dinner reservations for the week when you check in. Always charge everything to your hotel room so that you can avoid paying the IVA (VAT) tax on extras like cocktails and the spa. 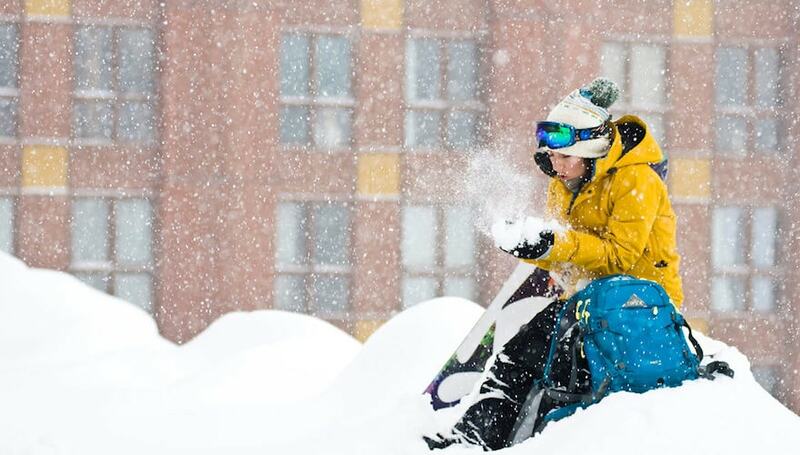 To get a better feel of the resort terrain and what Valle Nevado has to offer, check out the video below filmed on location with PowderQuest and the Dakine Snowboarding team. 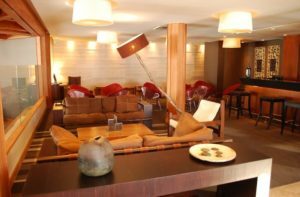 PowderQuest offers custom Valle Nevado hotel packages and reservations to the main hotels located at the base of the ski resort. Hotel Valle Nevado and Hotel Puerta del Sol guests receive a courtesy massage. Lunch is included for Hotel Valle Nevado guests. We can also include private transportation from the airport or Santiago hotels with your choice of English or Spanish speaking driver. Depending on the time of season, Valle Nevado offers 3, 4, and 7-night hotel vacation packages. 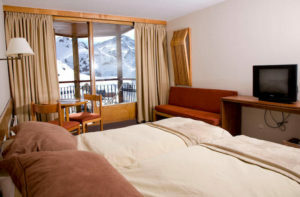 7-night hotel packages include two interconnecting lift tickets (per person) to neighboring El Colorado and La Parva ski resorts. This interconnection offers more skiable terrain than Vail, Colorado. Valid for residents of USA, Canada, Australia, and the UK only. Valle Nevado has a selection of 3 hotels, near the ski lifts. 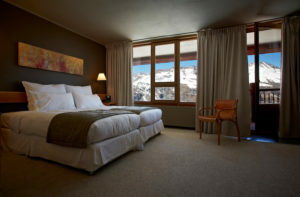 Deluxe lodging, ski in / ski out, spacious rooms and the only suites at the resort. 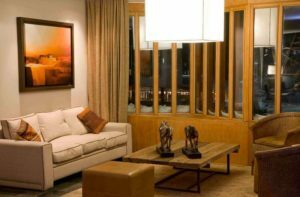 Half of the 50 rooms face the resort and the other half out toward a plunging valley with breathtaking Andean views (we recommend these rooms, but they do sell out quickly). The Hotel Valle Nevado has direct access to the spa / fitness center, with daily breakfast and a buffet lunch at the La Fourchette gourmet restaurant. Valle Nevado’s mid-range hotel is best for families due to its interconnect rooms and rooms specifically designed for parents with kids. Of the total 121 rooms, the “norte” rooms feature a terrace and look out over the resort, whereas the “sur” rooms have bay windows and look toward Santiago, and the afternoon sunset. Hotel Puerta del Sol has direct access to outdoor heated pool and sits right above the slopes. Guests here have breakfast at the Mirador del Plomo restaurant. 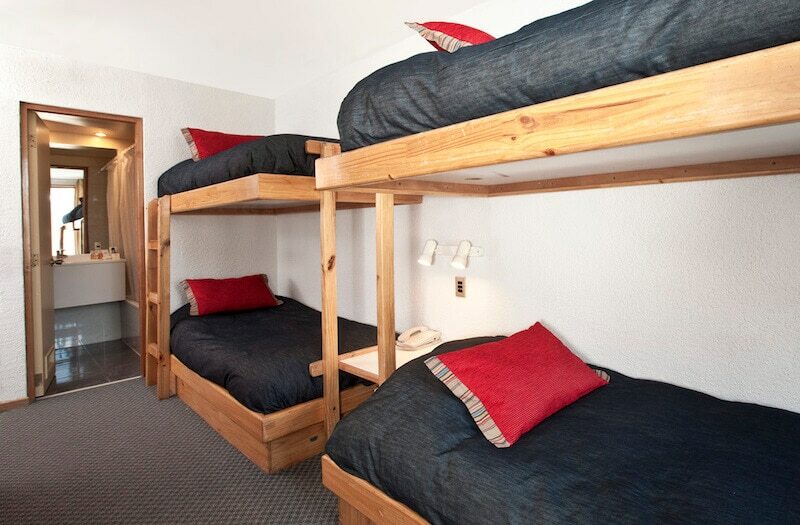 The resort’s economy hotel is perfect for budget travelers, ski teams, and younger skiers and riders. Of the 82 rooms there are doubles, triples and quadruples, the latter being very tight and better for younger skiers. The resort’s main bar venue is located on the top floor of Hotel Tres Puntas. Skip the traditional resort package. Join PowderQuest for a guided adventure visiting Valle Nevado, Portillo and snowcat skiing near the base of the mighty Aconcagua Mountain.